Evan flies - Steve Hinton Jr. 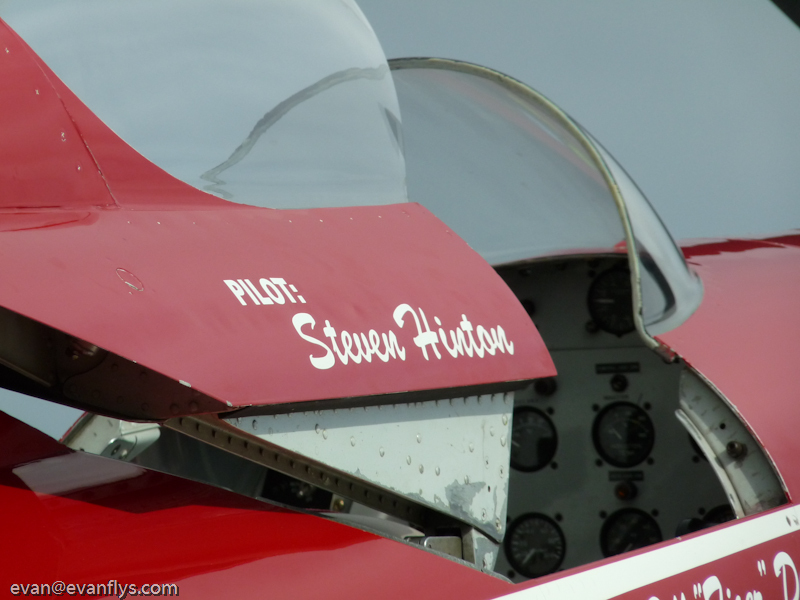 If you know anything about warbirds or air racing, you know who Steve Hinton Jr. is. 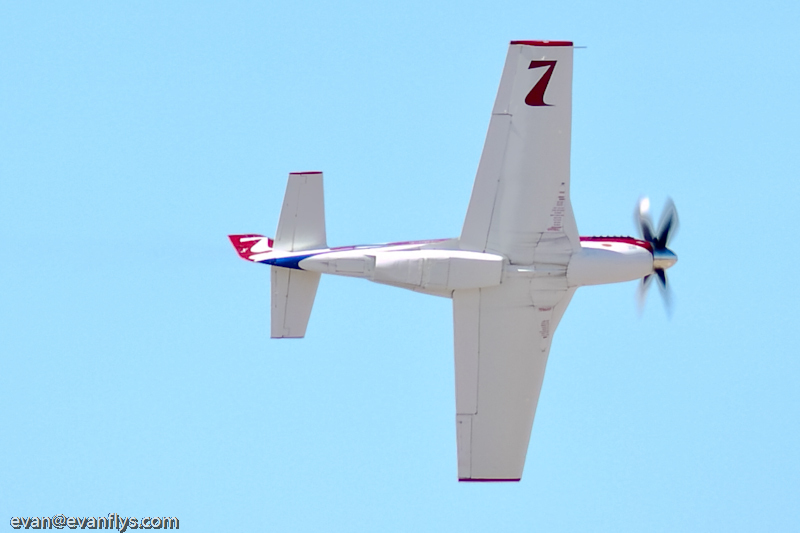 He's the 2009 Reno Air Races Unlimited Champion. 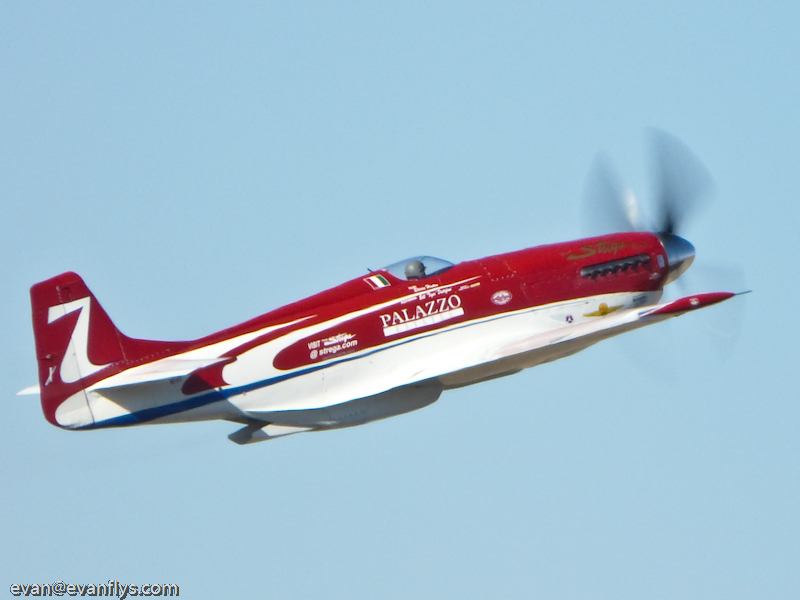 He raced Bill "Tiger" Destefani's incredible P-51 Mustang "Strega" and was unbeatable all week long. Steve and I tried to get together to do an interview but he's in Southern California and I'm in Northern California and we just couldn't make it. (Actually, he's so nice, I bet he would have made time at the races but my dad and I didn't want to bother him). So anyway, since we couldn't get together to do the interview, he asked me to e-mail my questions to him and here are all his answers! He's a very busy guy and I just think it was so cool and nice that he made the time to do this for me. Obviously you grew up with airplanes. Do you remember a special moment that made you fall in love with flying? There was not one specific moment in which I fell in love with airplanes, as far as I can remember, I was always in love with them. But there were moments that motivated me to pursue my love of flying; whenever the museum’s airplanes went to airshows, I remember all of the guys climbing in them and taking off, and I was left on the ramp. I told myself that someday I would be one of those guys, so I took the steps necessary to begin flying them. Also, in the past few years, I’ve been watching my dad climb into the F-86 Sabre which has made me want to focus solely on aviation and becoming a better pilot to be in that cockpit someday. Were your parents supportive of you flying? Both my parents are very supportive of my flying, but they never pushed me to become a pilot, rather, I had to prove to them that it was something which I really wanted to do. They always had positive words to speak and were always there offering me the opportunity to continue advancing my flying skills. Considering your dad almost died in Red Baron, did that affect his support of you flying? My dad and mom have never let their past experiences deter me in the pursuit of my goals. They have witnessed a number of accidents involving airplanes throughout their lives, but that never was a factor regarding their support for me. It was always used as a tool to learn from, what not to do, how to improve, etc. When it came to racing, my dad wanted to make sure I was prepared and not too far behind the curve, he didn’t want me to be placed in a compromising situation due to a lack of experience. However, he offered me plenty of his knowledge to make sure I could avoid those situations; he was 100% behind me. Did you ever consider joining the military to be a fighter pilot? I had wanted to go to the Air Force Academy and be a fighter pilot, but that did not play out. I had everything lined up for the Academy; I was a good student and was admitted into their summer seminar. However, when I was taking my medical exam for my Private Pilot License, I found out I was red and green color deficient, something I was told is common. I could not see 50% percent of the numbers in the Ishihara color blind test, which is the only color blind test the Air Force offers. I took several other tests for my medical, and passed them so I have no restrictions on my license, but that didn’t apply for the Air Force. I believe the Navy allows other forms of the test, but I had my heart set on the AFA, so I decided to pursue other options. When did you get your pilot’s license? At what age? What did you train and solo in? I soloed a Cessna 150 when I was 16, and then received my pilot’s license when I was 17. 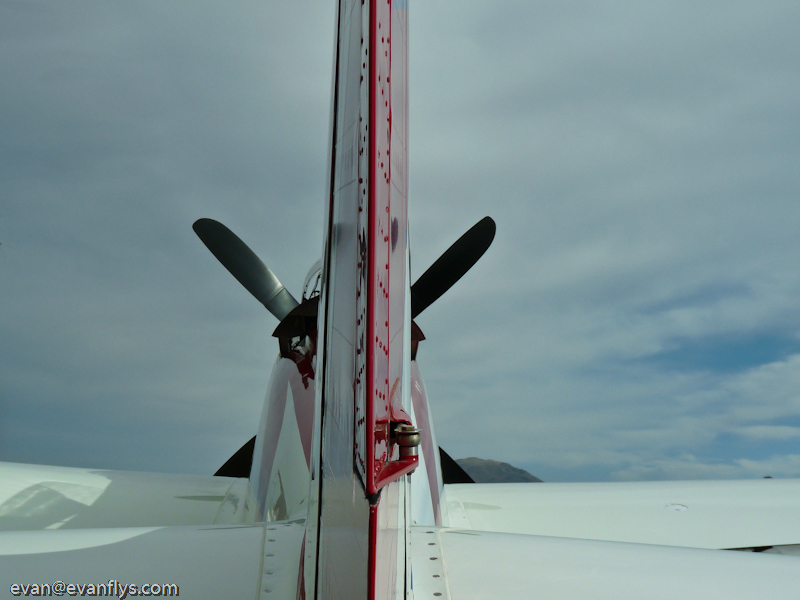 I trained in the 150 for my license, and then switched into a Luscombe tail dragger after I had gotten my Private License. Your dad must have spent a lot of time getting you ready – and helping you win. Can you share some of the advice he gave you? My dad never gave me real detail-oriented advice, instead it was mostly generalized; he would give me a piece of the equation and let me figure out the rest. The types of things he would say were “You are not going to be perfect the first time you go around the course so don’t be disappointed in yourself, it takes practice like anything else” or “try not to focus too much on the line you are flying, see what works for you and change it as you gain more experience.” He really helped to keep my vision from being obscured by advising me to be realistic and only think about relevant things. My dad and I also have talked for years regarding how things worked, what systems did what, why things were designed one way not another, so our relationship regarding air racing goes back quite a ways further than just my flying career. My dad thinks you probably spent some time in race cars on a road race course to practice race flying. Did you? Nope, no race car practice, though I do enjoy the competition. I heard a rumor that you guys had a practice race course set up in the Mojave Desert and you practiced there. I bet that made a big difference if it was true. Was it true? Can you tell me about it? We never had a race course set up at Mojave, nor at Shafter. I would practice a “racecourse” type pattern at Shafter, maintaining a left hand turn low off the ground, careful to hold a consistent altitude, but there were no pylons. We did practice mayday landings every flight though; each and every landing was executed in a mayday fashion. When we watched you out on the pylons on Friday and Saturday, we noticed you jumped out in front and flew what looked like the same line each lap around. Were you looking for clean air? I never was looking for clean air per say, it was just a benefit that came with leading. More specifically in regards to Sunday I was anxious to get into first place so that I’d have the lead. Obviously, however, being in first allows you to fly your own line and avoid spoiled air. In Saturday’s heat race, the winds were up around 25 knots, which is turbulent; coming around 6 into 7 the rough air bumped me around pretty good, and that is something which cannot be avoided, no matter what place you are in. The Saturday race was awesome! 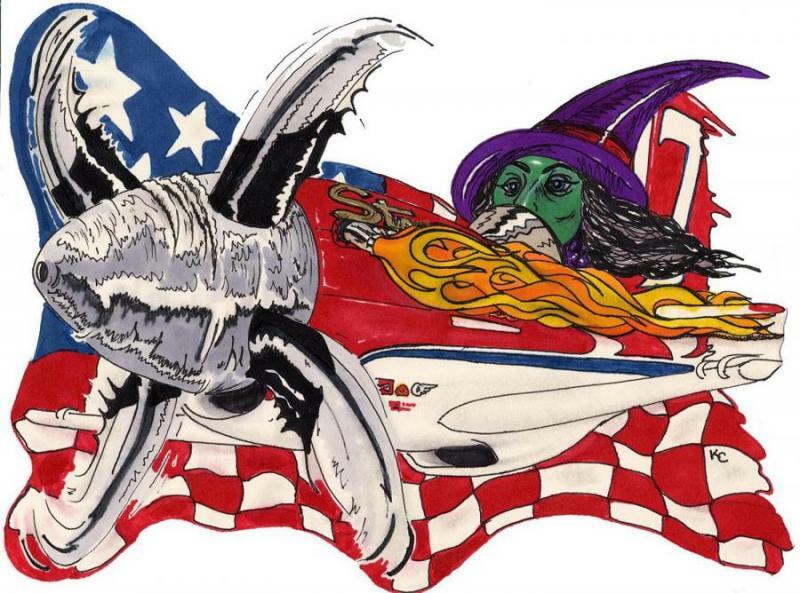 I heard that Strega went over 500mph each lap. Is that true? No we did not run over 500 mph each lap, although we did over 500 mph on several laps. 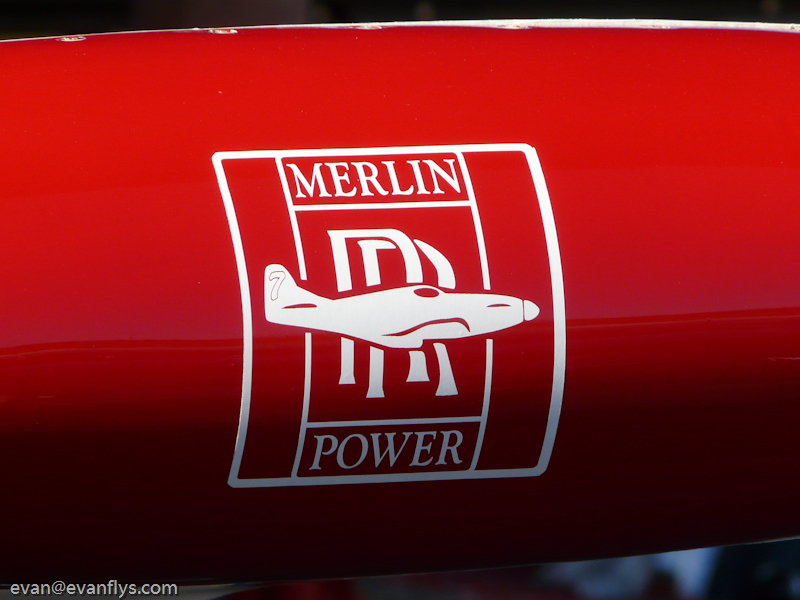 I ended up cutting a pylon which dropped our race average from what would have been 496 mph to 480 mph. The fastest lap I heard was somewhere in the ballpark of 512 mph. What kind of training/experiences do you have to do to win in the Unlimited Gold? 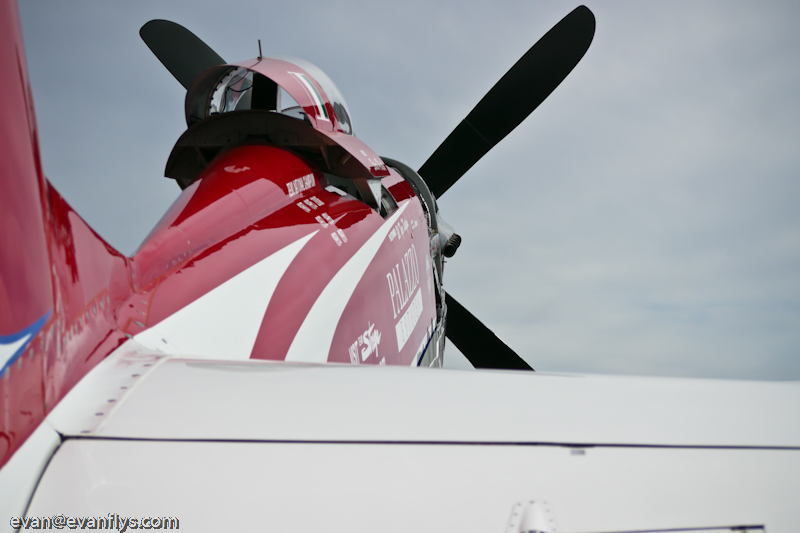 How many hours do you have to have in warbirds or Mustangs? My total time is approximately 900 hours, somewhere around 700 hours of which are in warbirds, Stearmans, T-6’s, etc. 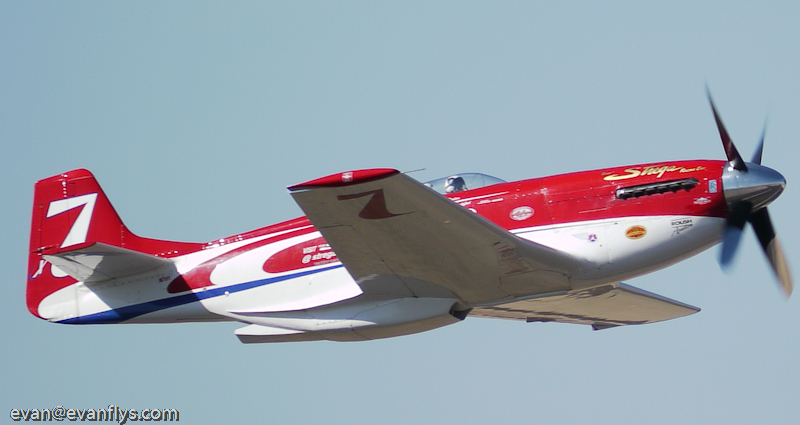 The rules which are put forth by Reno call for 50 hours in type, which means if you are going to race a P-51, you need at least 50 hours in a P-51. As far as training and experiences which are need to win the Unlimited Gold, there is an indefinite number of formulas for success. The route I went didn’t rely too heavily on thousands of hours of flying, nor did it include hundreds of laps flown in previous races. My foundation of experience was built upon word of mouth and a lot of reviewing video tape. For the last 6 years, Tiger has sat in the hangar telling tales of his experiences racing over the last 30 years. If it involves racing, we talked about it. 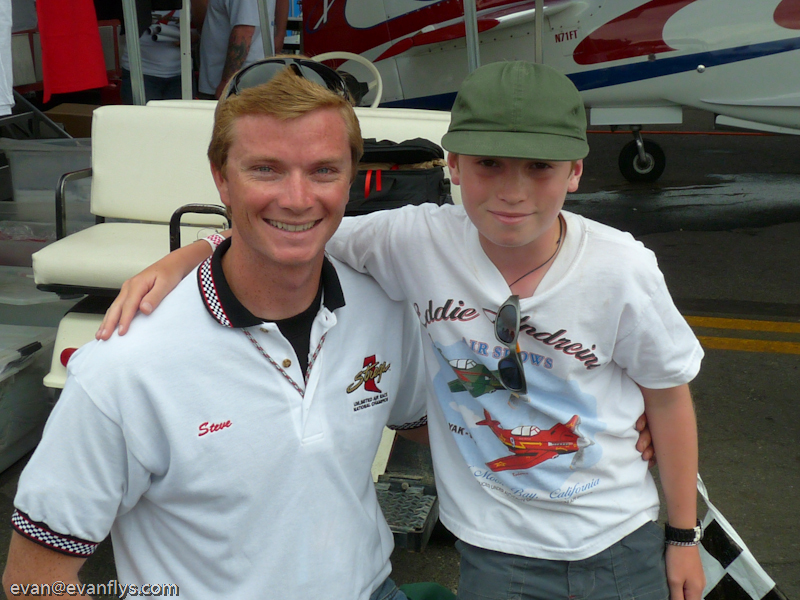 He explained things which worked well for him, described situations that he would change if given a second chance, so I garnered a huge amount of air race knowledge from him. I also watched a lot of the Skyfire video tapes among others, and these gave me a visual reference to analyze what guys had done right or wrong in the past. A combination of all of this, as well as flying Strega around Shafter, built my foundation for training to race at Reno. .
Can you tell me about your race week and especially the big Sunday race? 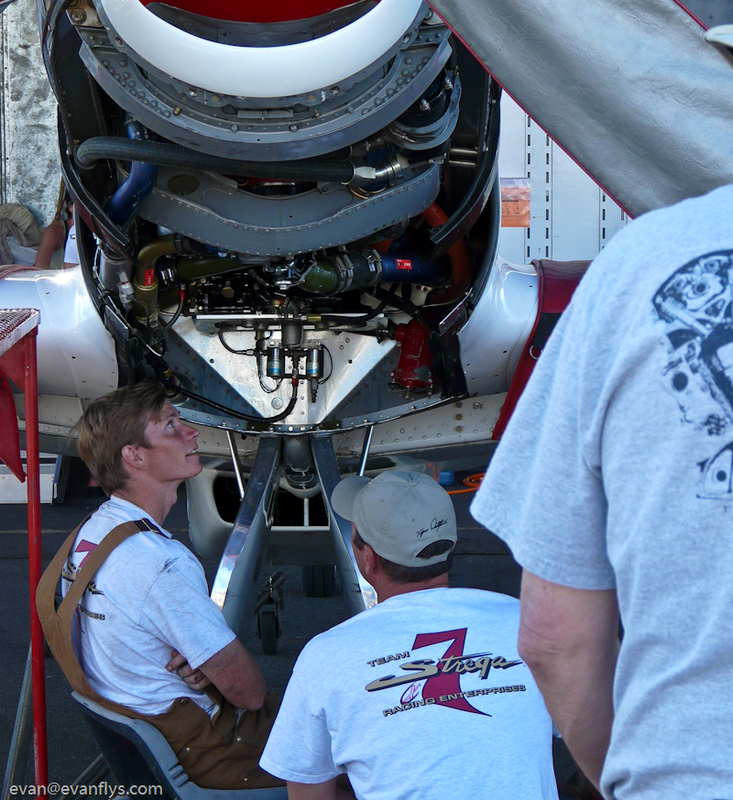 The race week for our team was a process of incrementally stepping up both the airplane and me because I hadn’t been at race power with the engine nor had I flown the course at high speeds. We began on Sunday by stepping up the power, first 80”, then 100”, and so forth. We tried to accomplish most of this on test flights at higher altitude so that I could feel out the airplane and discern what the gauges would be doing. The first time I went on the course Monday however, coincided with my first 100” run, it was just the way it worked out with the timing. 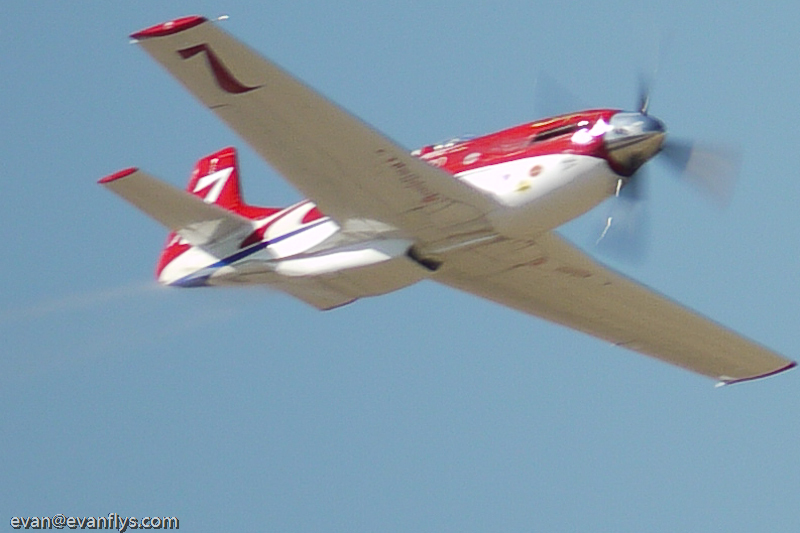 In that power jump the airplane flew outstanding, it was smooth and almost effortless. On Tuesday we decided to qualify at a little higher power setting to see what the both of us were capable of doing, and it could not have been a more perfect day. I got onto the course with no one out there and virtually no wind, allowing me to concentrate on flying a good line around the course. That first time around at race speeds during qualifying, everything seemed to go quickly, and before I knew it I was already off of the course. It was a blur of activity, but I never felt behind the airplane, I was just busy. Having gone 486 mph kind of took the weight off my shoulders, we had the pole position and I had hard evidence that I, personally, could go fast. So much of the speeds out there are dependent on the pilot’s ability; you can have a fast airplane, but if you cannot fly, then your speeds are significantly lower and will suffer. It was also a big test for the airplane, the engine ran perfect and the screens were clean, all indications lead to the belief that the engine was happy and in its element. The only hiccup we had all week was an oil plug was left loose going to the supercharger, so while up on a test flight Thursday evening, I watched the oil pressure waver rapidly, dropping 20 psi, then another 20 psi. It wasn’t hair raising or nerve racking, which is why we practice the maydays; rather we felt our hearts sink to the bottom of our chest. 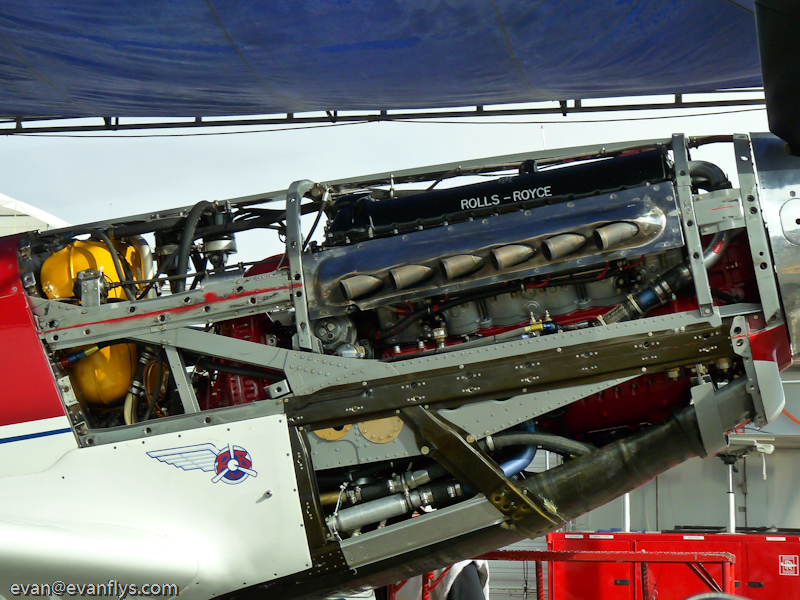 For 20 or so hours, we didn’t know if the engine was terminally injured. We did tests running the engine and flying in the early morning, constantly checking the screens and pulling oil samples, but we were unsure of how the engine would take Friday’s race. During that race, my eyes were glued to the oil pressure gauge, more so than normal. But after our screen check that night, and with how well the engine performed during the heat, we were confident as ever. The rest of the week went fairly smooth, I grew more and more comfortable with everything we were able to run the engine fairly conservatively, not pushing it hard, mainly due to the fact that we felt we didn’t have any big competition. With the speeds we were producing, we knew we would not need any more; this made my job much easier. Come Sunday, I just wanted to get around Voodoo. I figured I’d get by him at least by the end of the first lap, and as it turned out, we were by him on the start. My strategy following that pass was to fly a bit wider than I had all week, knowing no one would catch me, and avoid cutting any pylons. By the second lap I had backed off the power quite a bit, and kept on monitoring the engine’s health and finish. The rest, as you know went smoothly and we could not have asked for a better outcome to the race. Personally, I feel like I learned a lot this past year, it was a great experience, but at the same time, I cannot wait for another opportunity to do it again because I know I can do much better the next time around. I cannot even express to you how thankful I am to have been given this opportunity and for all the help certain individuals have given me along the way, I am indebted to so many. Was there one plane that worried you the most – you know, that could beat you? In short, no. Historically, the only airplane which has given Strega a run for her money was Rare Bear, and it was limping around this year. We did not discount them, nor Voodoo, who we knew would be a dark horse, but we felt confident in our airplane. After Saturday’s race we felt even more confident, given our speeds which we achieved at the particular power setting we ran. We knew we had a lot more left if we needed it, and we plan to run Sunday conservatively because we felt we would not need it. You and Strega are coming back to defend your title next year right? We’ll be back. What advice can you give me to be able to do what you & your dad do? I really want to build, maintain, and fly warbirds like you guys at Chino do. First and foremost, stay in school and finish your education, it’ll be the most important thing in your life. After you have finished that, you could get a mechanic’s license, an Airframe and Powerplant License (A&P) they call it. The more hands on experience you can get the better so try and find an internship or a job in the aviation industry; even if you are just sweeping floors around airplanes you will learn a lot so keep an open mind. And once you turn 16 you are legal to solo a powered airplane, while you only need to be 14 to solo a glider. Some people are eager to start their lessons at 15 but I’d recommend waiting until you can solo that way you are not spending a year or two learning how to do touch and go’s; a lot of people take a lesson a month and never get a license, its too infrequent, once you are determined to fly, go get your license. I’d be more than happy to help you if need anything; you’ve got the passion and enthusiasm for aviation and that is the first step. You’re on the right path Evan! Very special thanks to my friend Steve Hinton who spent so much of his time answering all my questions. This drawing is by my friend KC (AKA Khanzilla) It's cool huh? !